Tissot. Twisted tradition. For gentlemen who value both heritage and high performance. 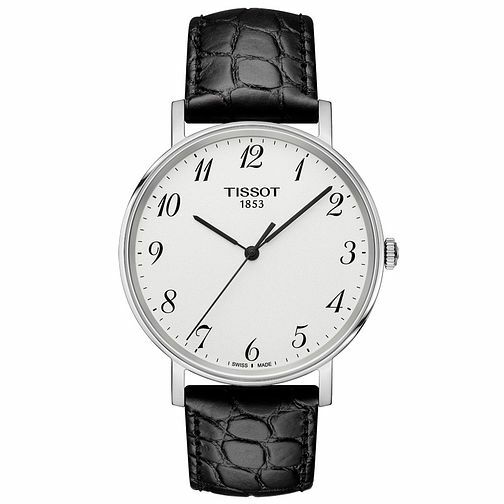 This smart leather strap watch is set off perfectly by its oversized round white face.